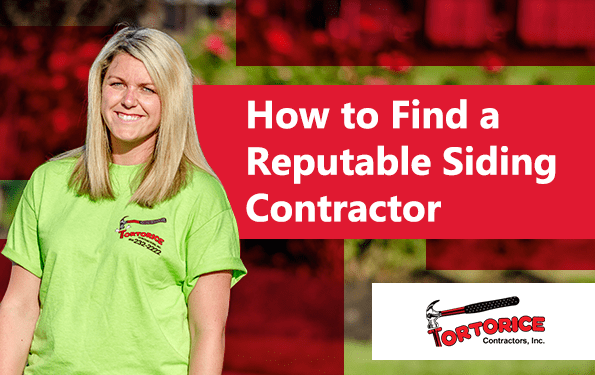 How To Find a Reputable NJ Siding Contractor - Tortorice Contractors Inc.
Professional siding contractors in NJ know how to install and maintain different types of siding materials and styles. Aside from this, they can also replace old sidings and shingles and repair your old vinyl, aluminum, wood fiberglass, or cement fiber siding. If you’re looking for a siding contractor, here are steps you need to follow to find a reputable one in your area. It is always best to start by finding a NJ siding contractor near you. Proximity is important because you might want to be able to visit their office or even because you want the job completed as soon as possible. A siding contractor based near your area is easier to access compared to somebody located in another city or state. You can find siding contractors from NJ by checking your yellow pages or by searching in local online business directories. You can also ask for recommendations from friends and family. They might have worked with a siding contractor before and know somebody who can do a good job. You can also visit your local siding store or renovation center for referrals. Narrow down your choice to three contractors. This will give you a better idea on who can do the best job. Once you have their names, schedule an appointment for each of them to inspect your home and for an interview. Discuss with them what you need so that you can have a concrete idea of how they will help you solve your problem. Aside from the interview and inspection, you also need to check if the siding company in NJ has a valid license. You also need to request a quote from all three contractors. This should list the materials to be used, the work to be done, and the time duration of the project. You should also require a warranty from all three NJ siding companies. This will protect your home from any future damage to the siding. You also want to examine their portfolio. This will tell you if they are experienced with your type of problem or material you want to use. This is important because there are contractors that specialize in certain types of materials like vinyl or fiber cement siding. One of the marks of a good siding company from NJ are happy customers recommending them to you. If customers are happy and satisfied with the work done on their property, they will not hesitate to recommend the contractor to you. Ask the company’s representative for names of people for their references. Interview them to find out if they had a pleasant experience with the company and if they are willing to recommend them. You could also visit the homes of these people if possible. Once you have received the contracts make sure to review them. Make sure that any promise made verbally is included in the contract. You also need to make sure that the contract covers everything from the type of material to be used to the number of hours for project completion. Contracts are very important because they are the agreed guidelines and specifications for the project. Don’t forget to check the warranty too. Warranty is your safeguard against possible future damages to the siding. Do not sign a contract without a warranty because siding integrity is the responsibility of the siding contractor from NJ. Before signing a contract review the job details again. This is to make sure that your expectations are aligned with the contractor’s plan. Both parties also need to be clear on issues such as removal of old materials and the type of equipment that needs to be used for the job. There are states that require permits for siding installation. Check with the NJ siding contractor to know who is responsible for securing the required permits and if any are needed. After all of this, you can finally select a siding firm from NJ best suited for your job. Interviews are a good way to see how a contractor communicates and referrals are good reference points for job quality and experience. Select a siding contractor from NJ that suits your budget and needs. They should be the type of company that is responsive to all types of communication. Once you have selected a siding contractor in NJ, obtain a signed and written contract that contains the bill of materials, labor charges, and the dates of the beginning and end of the job. Never settle for a verbal contract with a siding company even if they are affordable and have a good reputation. A written contract serves as a written agreement for both parties and can help avoid future problems.